If you have been arrested and charged with an offence, you can apply for bail. 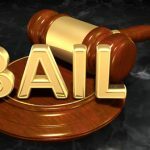 Obtaining bail means that you will be allowed to go home and continue your normal life while you wait for your court date, subject to certain conditions. If you are refused bail in NSW, you will be required to remain in custody on remand while you await your trial. Time spent on remand will be taken into consideration and count towards any prison sentence you receive. 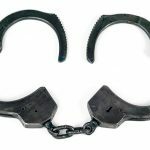 How do I know if my bail application will be successful? 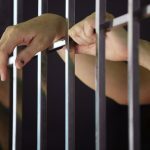 Whether or not you will be granted bail depends on a number of different factors including your criminal history, the best interests of the community, and whether you are deemed likely to turn up to court on your trial date. Some offences come with an automatic presumption in favour of bail, which means that unless there is an overriding reason why you should be refused bail, your application should be granted. 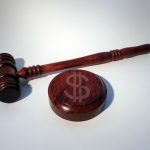 Other offences come with a presumption against bail, which means that if you want to apply for bail, you will need to argue your case in favour of being granted bail. Other offences are considered neutral and your individual circumstances and history will be taken into consideration. If my bail application is refused, can I appeal? If you are refused bail in NSW by a local or district court, you can appeal to the Supreme Court. 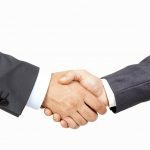 In order to ensure the best chance of success it is important that you make sure you have all the necessary documentation prepared and that you get a top criminal lawyer to assist and represent you. Some things that may help your application include character references, and any assessments for rehabilitation programs for drug or alcohol issues that you would like to undertake during bail. You are limited as to the number of bail applications you are allowed to make, unless there is a significant change in circumstances that would justify a review of a previous decision. It is a good idea to seek legal advice before preparing an appeal, so that you can present the strongest possible case to the judge. Where will I go if I am refused bail? If you are refused bail, you will remain in custody on remand until the date of your hearing. If you are based in Sydney you will generally be sent to the Metropolitan Remand and Reception Centre (MRRC) at Silverwater jail. You will stay there until your court appearance and sentencing. If you are held on remand, you will not be able to access any prison based rehabilitation or counselling programs. On your court date, you will either be found guilty and sentenced to a jail term or released from the court if you are found not guilty. 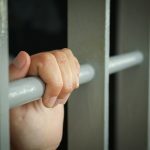 Depending on how long you have had to wait for your court date, you may have been on remand for a number of weeks or months. This time already spent in custody will be taken into consideration when determining the length of any possible prison term. If you have been refused bail, it is a good idea to speak to a criminal lawyer who has experience in bail applications in NSW.